« The zebra, this different animal, this horse which is the only one that the human cannot tame, which can easily be distinguished from the other animals in the savannah while using its stripes to protect themselves from enemies, which needs the others to live and which tends its pups carefully, which is so different while being so similar. And then, as our digital prints, the stripe patterns of the zebra are unique and help them identify eachother. 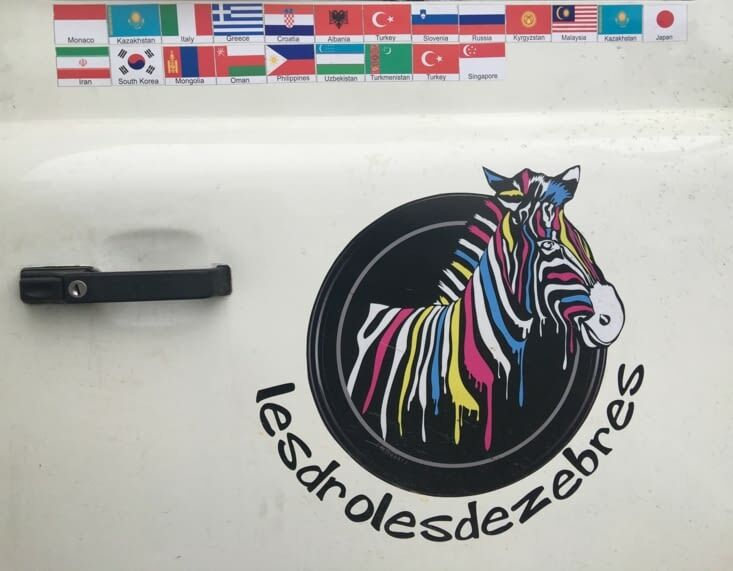 Each zebra is different. I will then keep saying that these <<strange zebras>> need particular attention to,live in harmony in this demanding world. I will keep defending all these <<striped>> people as if these stripe patterns would also represent the outbursts given by life. I will keep explaining to them that their stripe patterns are also great characteristics which can help them to avoid many traps and dangers. Like Zorro who wants to dispense justice, ever and everywhere, or like the <<Z>> link which reminds that they are emotional, wandering, rebellious, hermit, forgotten people… Please go on! You see, a Z… can hide another! How wonderful they are and how proud they can be. With serenity ». Philippe : 52 years old « sagittarius» and «father» of a 22 years old boy …. A professional career with accomplishments and stability (sales executive in a company for 23 years) but also a career made of stress, dissatisfaction, commitment in a little fulfilling professional choice but which, nevertheless, allowed us to have a <<materially>> comfortable life..... but with a chaotic "health" level. A leitmotiv: giving a meaning to life …Try to make The dreams come true and discover who we are, and what we really like..
We: Since 7 years, we have started our own small business In the creation, marketing and sale of customizable fashion accessories (bags) made of recycled materials (www.metamorf-oz.com), provided through an NGO based in India and in an ethical, committed and responsible approach. We have also developed another design concept in tableware: wineglasses without stem (www.waterwinewine.com). Our desire for freedom, insouciance, rebellion and for exploring the world. "Am i really happy?" "Do my life choices fit with values in which i believe?" "Would i do the same if i could?" "Did my actions rise to my desires?" "Are my commitments to work and consumerism still meeting my fundamental values?" "Why such anger with this world that surrounds us?" "How do i want to spend the second half of my Life?" Accepting to put everything back into question and runs the risk of getting lost with the usual ways you have lived your life, with your certainties, your confort zone and your daily routine…Some of our relatives say : "Ouah ! I admire you" or "You are crazy, that's nonsense !" or "you're lucky" but most of the time "congratulations, but i personally would not have the courage to do it!" « Decide to do it » is not courage, it's only accept « to let it go», take responsability for our choices and confront the unknown …. This form of injustice that incences us but that we take part in because we don't react. Beyond prejudice, we are convinced that if everybody would contribute to the amelioration of everyday life for human beings and animals around us (even just a little), their life would be better. And actually, this is just a little for us but a lot for others. We are lucky because we will have time so we can use it! Conclusion : The biggest luxury is freedom…! Locate a place (during the 5 years) that fits our expectations, that makes us putting down roots, and, why not, realising a project that dwells in us: building an atypical "Eco-Lodge" guest-house where the location, the environment and the connections whith locals would be our priority. 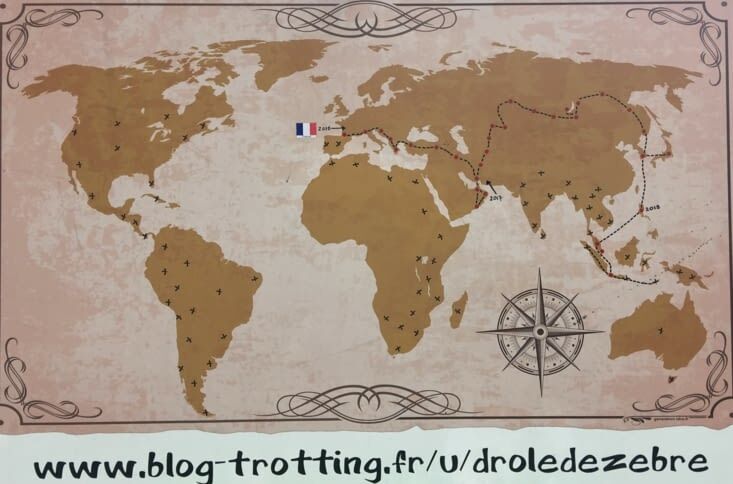 nous attendons la suite de votre "zébravoyage" avec impatience! Hello les chéris darlings!!! Daphaël me voit sur le blog , me montre le zèbre et me dit" ça c'est zèbre, c'est Philippe!!!" trop choupi ce bb... sinon plus pratique , j'arrive pas à avoir le père de Phil au tel et on y va ce samedi... dc si vous pouvez lui dire de nous contacter! bizavous les zamis zèbrement chéris!